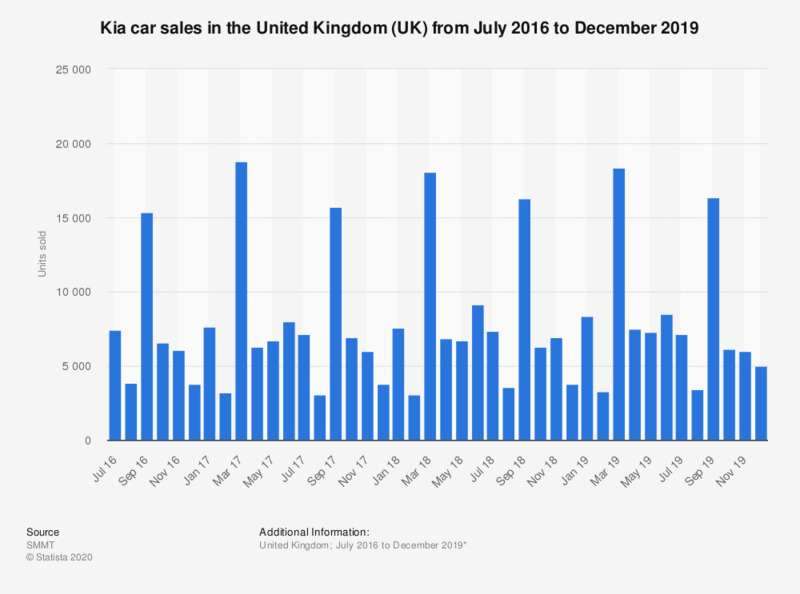 This statistic shows the number of cars sold by Kia in the United Kingdom (UK) between January 2016 to January 2019. Sales of the South Korean brand - Kia, peaked in March and September each year. * Data for previous months provided by the source.